The phenomenon of bird migration has fascinated people from time immemorial. The arrivals and departures of different species marked the seasons, heralding spring and autumn, and providing a reliable calendar long before anything better became available. Migration is shown by many kinds of animals, including butterflies and other insects, mammals, marine turtles and fish, but in none is it as extensively developed as in birds. The collective travel routes of birds span almost the entire globe, with some extreme return journeys covering more than 30,000 km. As a result of migration, bird distributions are continually changing — in regular seasonal patterns, and on local, regional or global scales. Migration has repeatedly prompted familiar questions, such as where birds go or come from, why do they do it, how do they know when and where to travel, and how do they find their way? In this seminal new book, Ian Newton sets out to answer these — and other — questions. 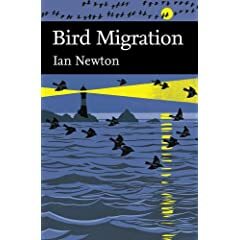 The book is divided into four main sections: the first is introductory, describing the different types of bird movements, methods of study, and the main migration patterns seen around the British Isles; the second part is concerned mainly with the process of migration — with timing, energy needs, weather effects and navigation; the third with evolution and change in migratory behaviour; and the fourth with the geographical and ecological aspects of bird movements.